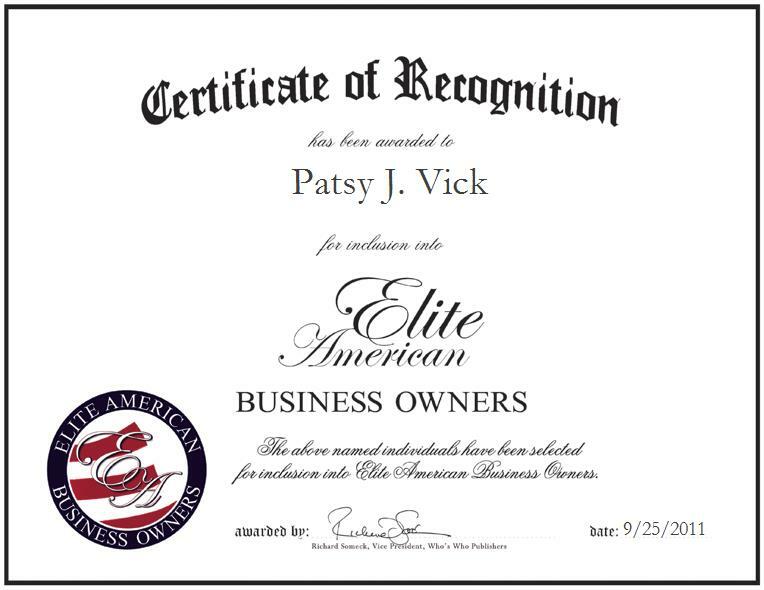 Patsy Vick is the owner and chief executive officer of Sew Sew Much More, a specialty retail company in Greenbrier, Ark. At the helm of the company, she personally designs quilts, spreads and window dressings, and ensures complete customer satisfaction. She began quilting upon the inspiration of her mother. A benevolent individual, Ms. Vick volunteers her time in the management of the mayor’s rented houses, and by working with the local Methodist church. She has also raised 54 foster children.